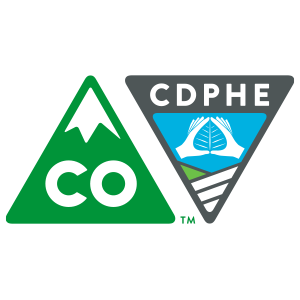 The Colorado Department of Public Health and Environment (CDPHE) is dedicated to protecting and improving the health and environment of the people of Colorado. CDPHE oversees not only environmental issues like air pollution and drinking water but also public health concerns like emergency care and health facilities. The Preventive Services Division works to ensure that Coloradans have, among other things, access to health care, healthy children and families, and tools to prevent chronic conditions. 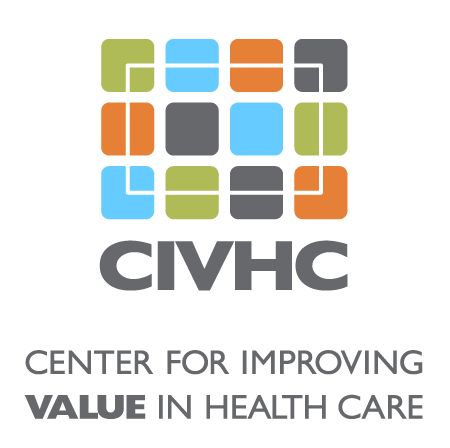 Project Summary: As part of its partnership with the Centers for Disease Control and Prevention (CDC), CDPHE wanted to understand where Coloradans diagnosed with hypertension live and whether they were taking their blood pressure medication as prescribed. Using claims from the CO APCD, researchers at CDPHE were able to determine how many adults across the state with high blood pressure did – and did not – fill their medication to manage their hypertension. Identify regions of the state with high and low rates of hypertension medication adherence. This information was used internally to identify areas where targeted interventions may be most beneficial. 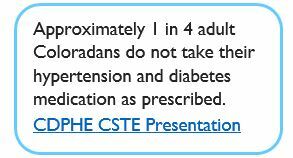 Compare Colorado’s hypertension medication adherence to other population based data sources.